There is a growing interest in virtual immersive environments such as virtual worlds for gaming, socialization, and also learning purpose. Frequently three major issues are mentioned, when using 3D worlds for educational scenarios: high technical requirements, low user acceptance and missing technical know-how. The last two issues can be decreased using an elaborate user-centric design with focus on the pedagogical objectives to improve the user experience and enhance the usability. 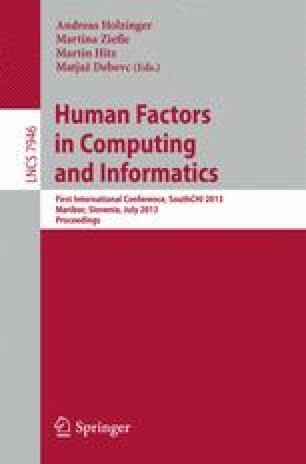 This paper discusses design principles for immersive, three-dimensional environments and in-world tools with focus on pedagogical aspects and presents based on these principles an implementation of a virtual world environment for physics education which integrates the pedagogical model TEAL. A first showcase was built in Open Wonderland and evaluated and tested by student groups and domain experts with focus on usability and pedagogical ambitions. The evaluation shows how the implementation of a learning-centric model focusing on the pedagogical main objectives and designed in-line with the usability guidelines can minimize issues such as user acceptance and missing technical know-how.